In this video you will learn how to connect your Apple TV device to your Premier Broadband router. If you have another type of Smart TV device please check out our other tutorial videos. In this video you will learn how to connect your Roku device to your Premier Broadband router. If you have another type of Smart TV device please check out our other tutorial videos. Do you remember back in the old days, when speakers were just speakers? You plugged your speaker to a music source and listened to music. Then, Bluetooth speakers came along, and you could connect your phone to the speaker to play music. 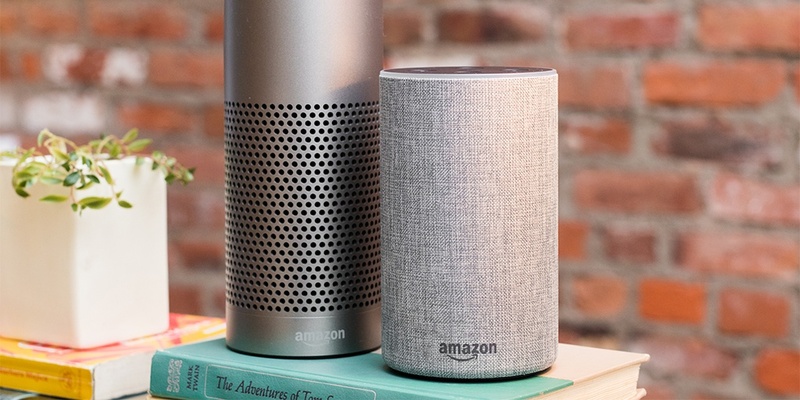 Now, smart speakers have arrived. The Amazon Echo is one of the smartest smart speakers out there. When you pair with high-speed internet, it can do just about anything. That means you just need an Amazon Echo and one of the wireless internet plans from Premier Broadband to unlock a whole new world. The Amazon Echo is controlled by Alexa, Amazon’s voice-controlled assistant. You can speak to the Echo, and Alexa will fulfill your command, as long as it’s something it is programmed to do. For instance, you can tell Alexa to play music or control your TV. It will read the news to you, and you can use it to control your smart home. Lots of people use the Echo to create shopping lists. You can access the list via the Alexa app. Just keep in mind you have to add each item separately. You need to tell Alexa to add paper towels. Then you need to tell Alexa to add shampoo. That way, the system will create the list for you. Plus, you can use Alexa to make phone calls or to text from an Android device. Then, there’s the voice-controlled shopping. You need to have Amazon prime to use this feature, but it’s a favorite for Echo users. Once your Echo is connected to one of Premier Broadband’s wireless internet plans, you can use your Echo to shop. Let the Echo know what you want, and Alexa will look for it. It’ll come back with the price, and then you’ll need to give it a four-digit security code. That’ll keep the kiddos from ordering their favorite toys when you’re in the other room. You’ll place your order, and the default payment method you have in your Amazon account will be charged. You can even ask Alexa about the day’s deals. That’s a great way to do a little bargain shopping while you are on the sofa. If you want to get off the sofa, the Echo can help with that, too. Have it take you through a workout, and you’ll be huffing and puffing in no time. That’s just a taste of what Alexa and the Echo can do when you connect the device to a wireless internet plan. Now, let’s look at Alexa skills. Your Amazon Echo can do an almost unlimited number of tasks via skills. Alexa has thousands of skills available, and you can access them via the Alexa app. Skills are basically apps that you can use on the Echo. You can install the Uber or Lyft skill if you want to order rides from the comfort of the sofa or add the Domino’s skill to order a pizza without picking up the phone or your laptop. You can also add recipe skills for some help in the kitchen or homework skills if your little ones need some help. You can even download skills for trivia. It’s amazing how many skills there are. It’s a lot like the app store on your mobile device, meaning you won’t like all of them, but you are going to be impressed with quite a few of them. You can even install a skill to have Alexa tell your kids a bedtime story. Once downloaded, the Short Bedtime Story skill will take over the bedtime story duties, so you can have a little alone time. This is almost like a science fiction movie, but it really works. Is the Echo Spying on You? You’ve purchased one of Premier Broadband’s wireless internet plans and hooked up your Echo. You’re about to use it, and then you get a nagging feeling. Is it spying on you? This speaker is essentially always on, so is it listening to everything you do? Not really. It listens for its wake-up word, but that’s not the same as spying. While it listens for the word, it’s not actively listening to everything that you do. It’s similar to the Google Assistant or Siri. Once you say “Alexa,” it will actively listen to your request. You don’t have to worry about it doing serious spying, though. If you’re interested in getting started with the Echo, make sure your internet service is up to the task. Premier Broadband has wireless internet plans that are perfect for the Echo. The internet is so powerful that you can easily add multiple devices to it without losing speed. Once you purchase one of these wireless internet plans, your Hope, Arkansas, home will be ready for the Echo and all kinds of other devices.